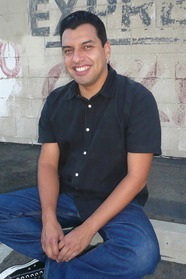 Michael Jaime-Becerra grew up in El Monte, California, a working-class suburb of Los Angeles. He received his MFA from the University of California, Irvine, and currently teaches creative writing at University of California, Riverside. His short-story collection, Every Night Is Ladies’ Night, was named one of the best of the year by The Washington Post and the San Francisco Chronicle. It was awarded a California Book Award, the Silver Medal for a First Work of Fiction. Michael is a winner of an International Latino Book Award. He lives in El Monte, California. Winner of an International Latino Book Award for Best Novel!